Having total control over the level of lighting in certain rooms is ideal for creating different moods and atmospheres, and dimmable light bulbs have long been the best way to achieve this level of control at home. When LED bulbs were first introduced, many people were put off buying them due to not being able to dim them, but dimmable LEDs are now widely available and have become more and more efficient. Here we will guide you through the key things you need to know about dimmable LED lights and how to ensure you have the correct setup. Are All LED Light Bulbs Dimmable? Unfortunately no, not all LED light bulbs are dimmable. Unlike traditional incandescent bulbs, which can all be dimmed by practically any system, LED bulbs need to be manufactured with a different type of circuit in order to be dimmable. The packaging and/or online product descriptions will usually indicate whether or not an LED bulb is dimmable, but if in doubt always check with the supplier before you buy. What Type Of Dimmer Switch Do I Need? Dimmer switches work by reducing the level of power delivered to your light bulb, which they do by trimming sections of the light waveform either on the leading edge or trailing edge. Manufacturers design their dimmable LED lights to be compatible with most ‘trailing edge’ dimmer switches, so these are the safer option to choose. However, some dimmable LEDs are manufactured with built-in drivers that make them compatible with both types of dimmer, so keep an eye out for this if you have an existing ‘leading edge’ dimmer system already installed. 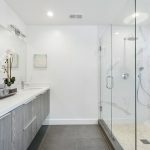 How Many Dimmer Dials (Gangs) Do I Need? This depends on the number of light fittings you have in your room. Dimmer switches can have anything from one to three gangs (dials) on the switch plate – it is possible to have more, but this is highly uncommon in domestic settings. If you have just one light fitting that you want to dim, you will only need one switch with one gang. If you have two fittings you can control them together using just one gang (dependent on the minimum and maximum load capacity of the dimmer switch, which we will explain in a moment) or you can control them independently of each other using a 2-gang switch. Multiple light fittings such as spotlights can also be split between multiple-gang switches. Most dimmer switches have minimum and maximum electrical load requirements and limits. 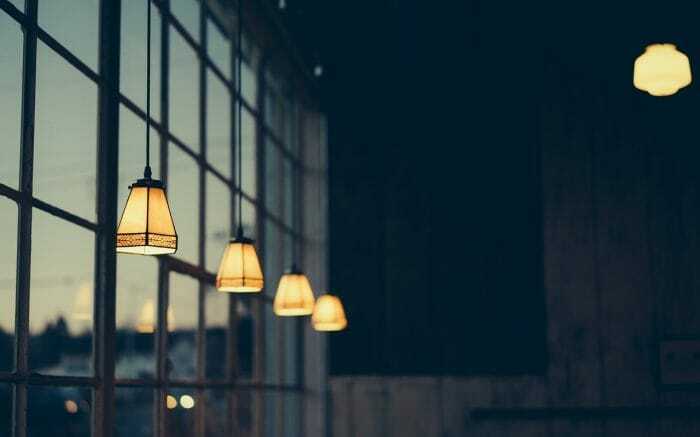 For example, if a bulb or collection of bulbs totalling less than 10 watts is used with a dimmer switch with a 10-watt minimum load, the bulbs will flicker and stutter when dimmed. On the other end of the scale, connecting bulbs that exceed the maximum load limit of your dimmer switch can cause your dimmer to fail, your lights to flicker or your breaker to trip. Minimum and maximum load capacity was fairly easy to calculate with traditional incandescent bulb wattage ratings, however this process is a little more complex with LED bulbs due to their low wattage ratings. 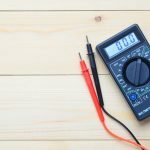 LEDs make great dimmable low energy bulbs, but their low wattage ratings can be misleading when it comes to deciphering electrical load compatibility. If the maximum load of your dimmer switch is 400W, for example, this doesn’t mean you can hook up 80 5W LED bulbs. This is because LED bulbs generate a large spike in power when they are first switched on, which can lead to your dimmer being immediately overloaded. Luckily there’s a really simple rule that is used by most LED bulb manufacturers to work out how many bulbs can be used with one switch. You simply take the maximum load value – in our example this is 400W – and divide it by 10. This leaves you with a 40W maximum capacity, with which you can safely run eight of your 5W LED bulbs. Please always check the instructions and specifications with the manufacturer of the dimmer before you proceed. Won’t they be too dim? If you’re new to using LED bulbs you could be forgiven for worrying that a 5W LED bulb would be far too dim, especially compared to the 100W incandescent bulbs you’ve been used to. 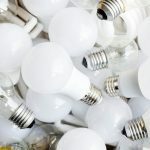 However, LED bulbs are designed to give out the same levels of light (measured in Lumens) as traditional bulbs; they simply use less energy to do so. Take a look at our guide to comparing Lumens and Watts for more information on this. 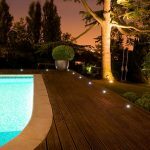 Get your dimmable LED lights set up to the correct standards with our dimmable lighting collections here at Moonlight Design, including dimmable bulbs, fittings and LED drivers.